I don't understand the goal behind the goal. The goal tag has no usage guidance, can you help us create it? So, the tag itself is ambiguous and has no guidelines of when the tag should be used. Most of the times, the tag is used in scenarios when OP thinks that I have this and my goal is ... and adds the tag to the question which is not necessary. Every question has a goal that OP wants to achieve. At the moment, there are 45 66 questions, out of which 30 43 are used in conjunction with maven. If we still need it with maven I'd suggest a new maven-goal should be created with all the description and the questions should be retagged. As for the other questions, a few can be closed and for the others, goal can be removed. It is true that the notion of goal is widely used in Maven. In fact, so widely used that such a tag, maven-goal, would be completely unnecessary and redundant. For those interested, goals are tasks that Maven plugins do during the build. And, basically, the whole Maven build revolves around declaring plugins, thus it adds no value. 1 is about the Excel function "GoalSeek". Can be safely removed there. (VBA GoalSeek Loop Issue). 3 are also tagged prolog. The tag adds no value. (Finding the highest possible evaluation in prolog, How do I work with equations that are passed on in the goal/query of prolog?, bagof/3 giving weird results). 3 are also tagged piwik. 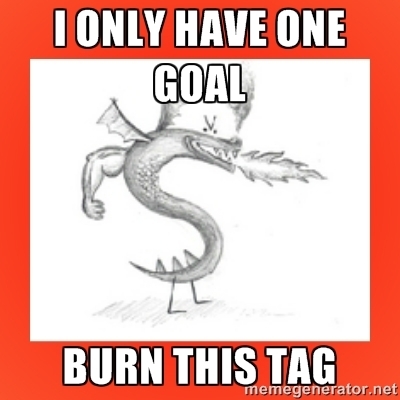 The tag adds no value; the word "goal" is already in the title or in the body and that is why is what probably tagged this way. (Piwik goals(checkout steps), How to get Goal Conversion history from PIWIK, Tracking direct file downloads). Update: since the burnination process started 2.5 years after posting and this answer reflects the evaluation at the time, it might not be valid anymore. GOAL agent programming language: homepage. Game Oriented Assembly Lisp (see Tunaki's answer). Removing the tag from all questions where it is used abstractly ("I want to achieve..."). maven-goal and lisp-goal might be worth keeping depending on opinions from knowledgeable people. goal will then need a wiki explaining that it is used for the agent programming language. It shouldn't be blacklisted unless someone wants to come up with a tag for the programming language which is not its name. The tag can be dropped from the posts where it is related to maven. The tag goal-tracking should be used when the post is related to google-analytics. The same can be used for the 3 posts related to piwik, which is another open source analytics platform. The tag can be removed from the 3 questions (1, 2, 3)related to GoalSeek. The tag can be removed from the questions related to Prolog. We don't want to destroy value, so salvaging a post should be your first priority. If a question can be saved, please edit it. Your edit should improve all problems with the question and remove the goal tag, possibly replacing it with another tag, as described above in "Observations/Retag Guidance". If the question is not appropriate for this site, then don't worry about removing the goal tag—just flag/close the question it is attached to. 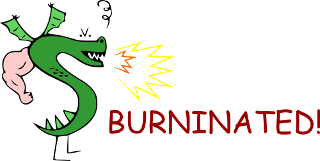 At the end of the burnination process, all questions that still remain with the goal tag should have been closed. These will be mass-deleted, which will remove the tag from the system automatically, with minimal disruption.